Tackling a true story from feudal Japan’s history, 47 Ronin delves into a world where honor and loyalty outrank life itself. When faced with a horrific tragedy, the titular ronins, or samurai without a master, must decide how far they’re willing to go to preserve an onerous code they’ve spent their lives embracing. 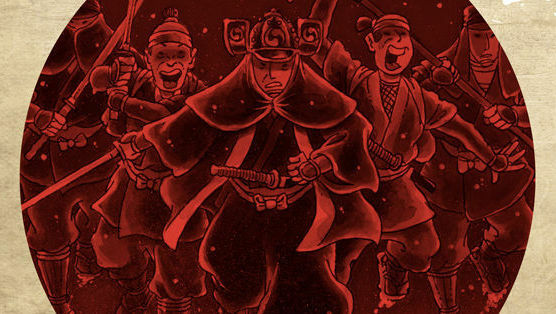 Dark Horse Comics founder Mike Richardson meticulously researched the history of the 47 Ronin before writing the series (since translated into a blockbuster bomb), and his attention to detail shows. From seppuku, the tradition of ‘honorably’ committing suicide, to the exact dates of events, historical elements woven into the narrative construct a rich world for the characters. Richardson’s decision to frame the tale as a story told by a samurai to a monk further entrenches the reader into the setting, evoking an almost Inception-like commitment to the narrative. For a tale of such gravity, Stan (Usagi Yojimbo) Sakai’s art strikes a discordantly comical tone. His minimalist approach leaves characters looking thoughtful rather than concerned, flustered rather than frustrated. Fight scenes are exciting instead of perilous, and an undercurrent of charm limits the possibility for suspense. Lovern Kindzierski’s choice of muted, pastel colors contributes to the subdued art style, beautifully matching the tone of the illustrations but placing the art further at odds with the narrative. Though visually pleasing, the art and coloring ultimately detract from the intensity of the script. 47 Ronin could be a gem if only the text and the art reconciled. Sketches, interviews and historical notes added to the end of the collection contribute to the rich history of the 47 Ronin, but they don’t compensate for the conflicting approaches to the tale. History buffs will enjoy 47 Ronin for it’s breadth and accuracy, but comics fans may find themselves disappointed.